We live for the next holiday in our house and we’ve already moved on to crafting for St. Patrick’s Day and Easter simultaneously! I recently created these simple shamrock boxes for my latest project with Oriental Trading. 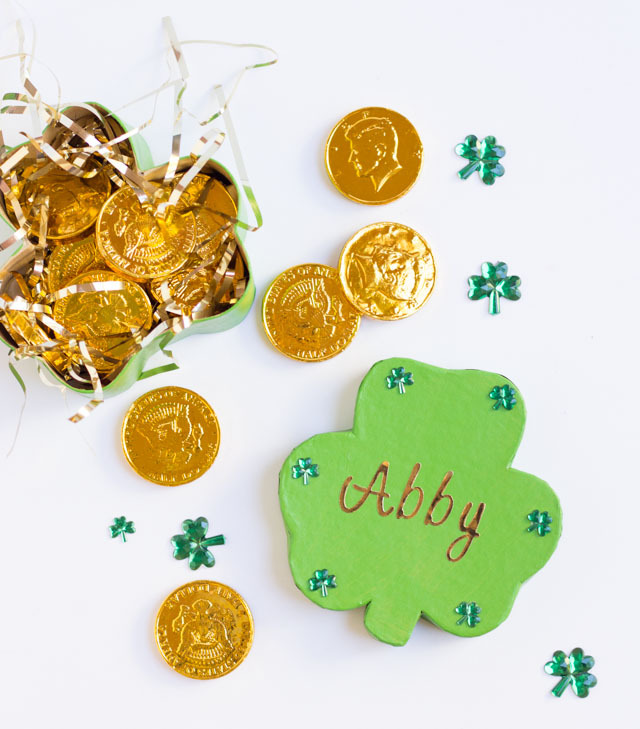 Personalized and filled with chocolate gold coins, they would make the cutest place card or party favor for St. Patrick’s Day! I love crafting with paper mache boxes – they are inexpensive, lightweight, and easy to paint. 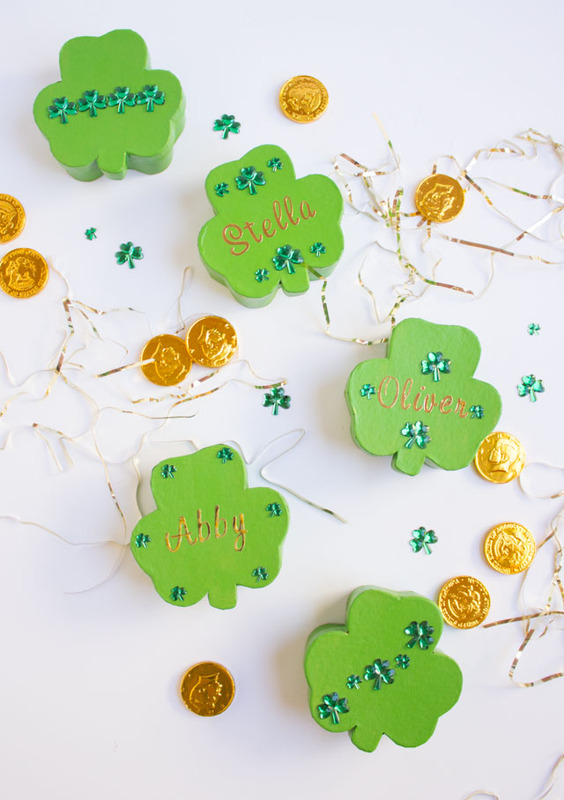 Aren’t these little shamrock boxes the cutest? I’ve also used paper mache boxes for lots of Valentine’s Day projects like my pom-pom Valentine holder, glittered heart boxes, and personalized gift boxes. If you’ve never tried crafting with them, you should! 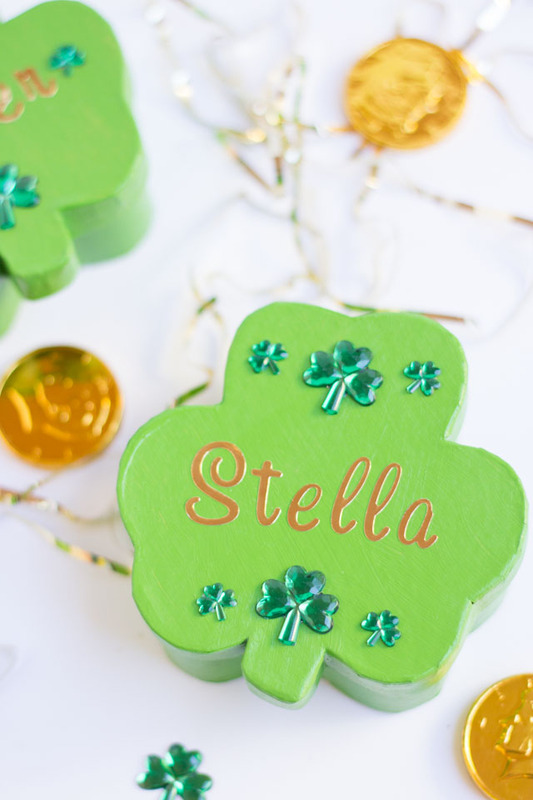 Once painted with a coat of green paint, these little boxes were as simple as peel and stick with adhesive shamrock jewels and gold letter stickers. Easy enough for kids to do, this would make a fun classroom project or handmade gift for their friends! 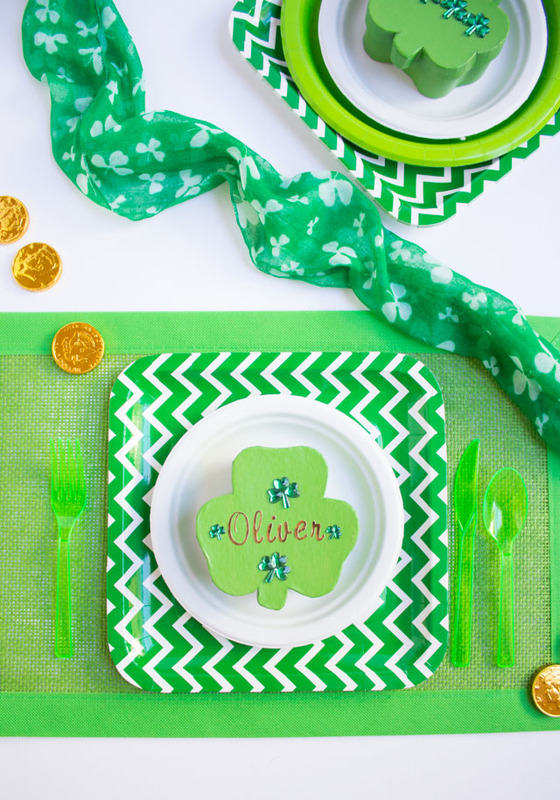 Head to Oriental Trading for the simple step-by-step tutorial for these St. Patrick’s Day favors!